So. I like Most Wanted. I also like Carbon. But the only reason I tolerate Carbon as a game is because it has Classic Muscle Cars, and they handle like a dream (heavy drifty cars is my style). Carbon has the best physics/handling and customization (which imo is hardly of any importance because all cars look better stock or with minimal changes anyway), but falls flat in every other aspect compared to Most Wanted. 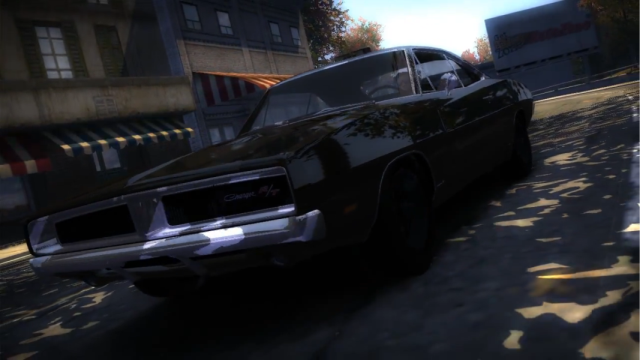 Reboot of the Carbon Muscle Handling Pack, but it's going to cover all cars in the game (+ addons, aka Carbon cars that don't exist in Most Wanted). All Tier 3 cars handling values taken from NATHANIEL900's Carbon Full Game Rebalance mod with some changes if deemed necessary (Lancer is underpowered, was slightly buffed speed wise). It's way better than vanilla when it comes to car balance, but still not perfect. - Custom handling values for various add-on cars. If using an existing save, you might need to rebuy/apply upgrades as the number of upgrades for some cars have been changed. New save recommended if installing addon cars. All base game cars (including Bonus Cars such as SL65, GT2, Camaro, Player BMW, C6R which are purchaseable/customizable). No drag races in boss events (Optional side script): While it was tested, it wasn't properly tested in a ''from start to end'' campaign. Also includes slightly harder top tier blacklist bosses. Report if any bugs. BL4 (JV) might be very easy because he might not be able to control his Viper lol. Thought you were inactive on nfsmods, sorry. ANNOUNCEMENT: This project will be rebooted under a different name (Carbon Handling Project), will be much better in quality and will focus on all car types (not just Muscle). - Will initially focus on all Tier 3 cars that are in both games, thus balancing won't be needed as values will be taken from the Carbon Rebalance mod. - Custom Cars will require you to recompile them yourself as I am not at liberty to share other people's work, even when recompiled to work as add-ons. File names will be provided.